I believe that our lives can be mapped — that there are boundaries that define the farthest we’ve ever been and the most we’ve ever done for God and His purposes. Everything within those boundaries is familiar, comfortable, manageable, predictable, and safe. There are generally no big surprises, no daunting challenges, and no uncharted territory within those borders. I also believe that if we are to grow and contribute to the growth of God’s kingdom, then we must be willing to go beyond those boundaries and put ourselves in a context where we must depend on God. That can be risky — but unless we are willing to take risks we will never redefine the geography of our lives and we will never make a significant difference in the world. A few years ago, my friends Peggy and Larry Norwood took a step that redefined their lives. Peggy and Larry love God and they love children. Peggy is one of the most gifted individuals I know — one of those people who can see beyond the actualities of a child’s life to behold the possibilities in that child’s life. 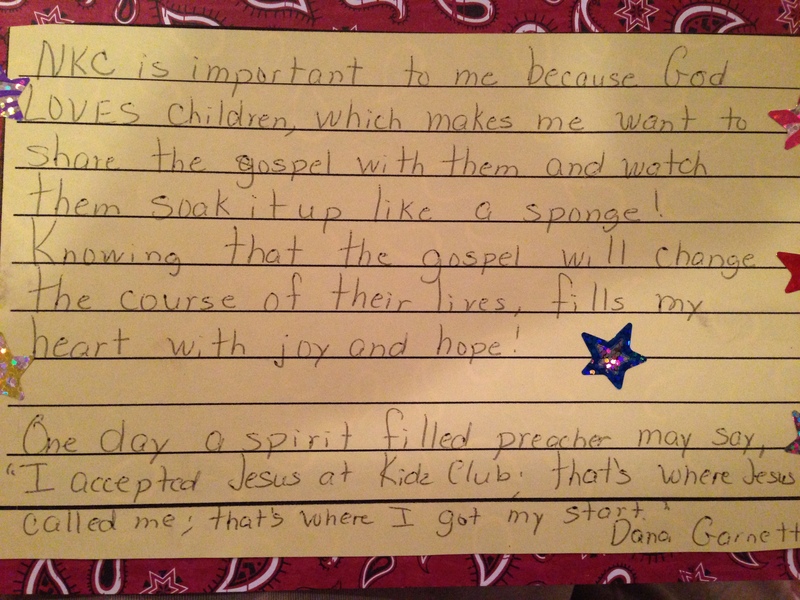 And she knows how to help children to begin their journey toward the realization of their highest potential in Christ. The story of Don Quixote de La Mancha is one of my favorites. At its core, it’s the story of a man who dared to dream impossible dreams and who wanted to make the world a better place. One day, he meets a woman named Aldonza who is despised and devalued by everyone around her. Don Quixote, however, sees something in her that no one else sees. To remind Aldonza of her potential, Don Quixote changes her name to Dulcinea, a beautiful name that speaks of sweetness. But, she refuses to accept that name because she doesn’t believe in herself. By the end of story, however, Don Quixote’s belief in her changes her life and the woman named Aldonza finally becomes Dulcinea. The Neighborhood Kidz Club started as a dream, perhaps something of a Quixotic dream. But when Peggy and Larry stepped across the line in order to fulfill their dream of reaching out to the precious children of the Western Pines Mobile Home Park in Katy, they embarked on an exciting adventure with God — a journey of helping kids to believe in themselves and to embrace God’s best for their lives. 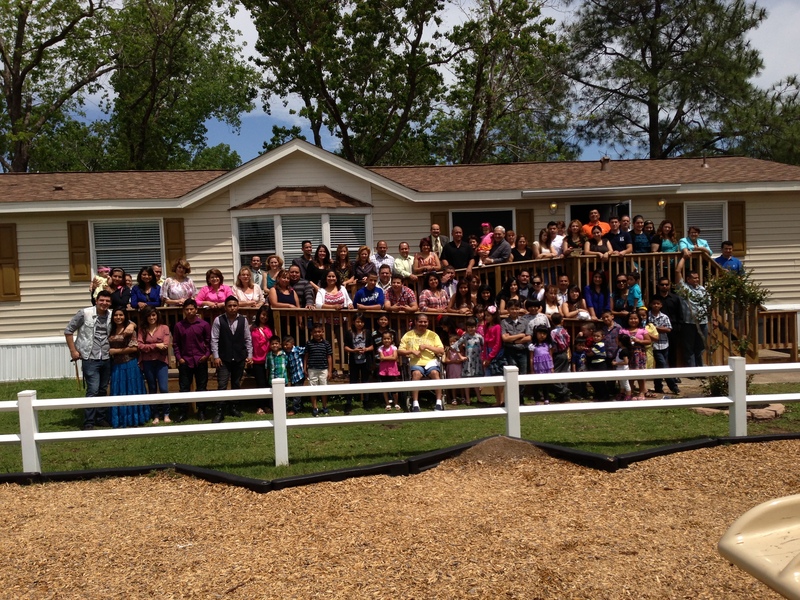 Today, the children who live in the Western Pines Mobile Home Park enjoy participating in Bible clubs, tutoring programs, sports teams, music classes, summer reading programs, and much more. And beyond that, a church has been planted in the community and already averages almost 100 people in attendance. How cool is that! None of the wonderful things that define the Neighborhood Kidz Club today would be a reality if Peggy and Larry had not obeyed God’s call to go beyond. 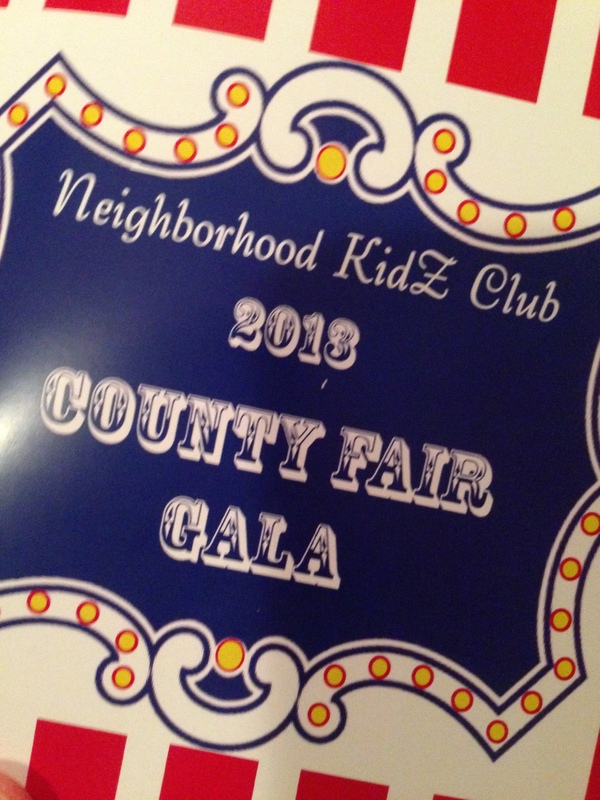 And the Neighborhood Kidz Club would not be what it is today without those who volunteer their time to help. 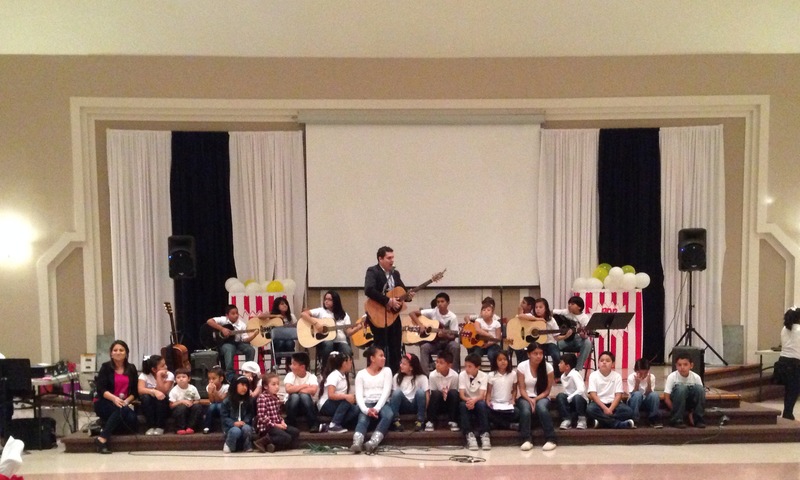 This ministry is a collaborative initiative that is changing the lives of children in our community. What is happening at the Neighborhood Kidz Club is nothing short of amazing. It is a beehive of joyful activity — a place of hope, the kind of place where lives are being transformed one by one. We can measure lots of things at the Kidz Club, like 60 children reading 6,000 books in 9 weeks in the first year that the Summer Reading Club was offered. That is amazing. We can also gauge things like the number of kids who are passing classes at school because volunteers invested in tutoring kids. But there are many things that can’t be measured. How do you measure what an investment of personal interest will mean to a child through the years? How can we know today how a child’s future has been redirected toward hope because a volunteer turned the rudder of their hearts just a few degrees by helping them do their homework or learning how to play a musical instrument or to play with others on a sports team? The late Steve Jobs said that you can only connect the dots by looking back. He was right. I believe that one day, a young man or woman will look back and connect the dots and rejoice that their lives took a hopeful turn during the years they attended the Kidz Club. They will better appreciate how God used those volunteers who invested in them. And they, in turn, will help to make our world a better place by loving God and serving others. I am thankful for Peggy and Larry and each and every person who is serving God through the ministry of the Neighborhood Kidz Club. They are making a difference. I also appreciate the opportunity to share some words of encouragement at their first-ever fundraising gala this evening. It was an enjoyable and fun event. 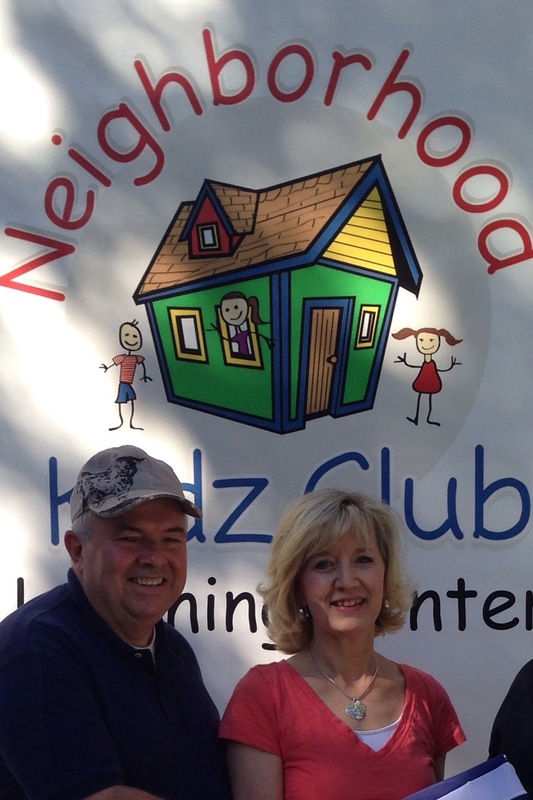 I encourage you to learn more about the wonderful work of the Neighborhood Kidz Club by visiting their website. We are fortunate to have this ministry in our community. Brought me to tears. What a wonderful blessing they are to the community and beyond! Amen, Carolyn. Peggy and Larry are indeed making a difference in our community. They are selfless and tireless in their work with children. Will do, Jackie. You will love visiting their locations when you are in town.